The technology is advancing really quickly, and one sector that has been benefiting a lot from these developments is the financial industry. The process of cash management has been improved a great deal over the years. 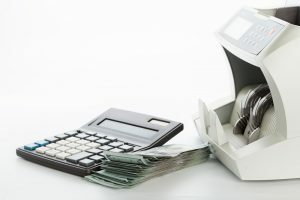 Automation of the cash counting can be said to the best that the technology has ever done to this industry with the introduction of the money counter machine. There are many reasons why you need to consider automating cash counting for your business. However, there are three good reasons why you need to consider introducing a money counter machine in your business. The efficiency of the business is crucial to its growth. It is the fact that dictates the pace at which the business is expands at. Efficiency captures how the business activities are done and also how customers are being served. Customers like shopping in places where they can take the shortest time to buy what they want. Therefore, the shorter the time your customers takes to buy, the higher the likelihood of the foot traffic. That means more efficient business have higher chances of expanding. That is one reason why you need to automate cash counting. Accuracy in cash counting is one of the biggest challenges for most businesses. But it is common to business that handles cash management manually. If you are counting by hand, then you have a problem with accurate data on the amount of cash that you have circulating in the business. Miscounting is one of the common errors that can throw off cash balancing in the business. With a money counter machine, that will never be a problem. How much time does your employee spend on counting cash? Well, if you pay them on an hourly rate, which is the most common for many businesses, then it counts on the cost of labor. But that cost can be slashed significantly by the introduction of the money counter machine. These machines can count any amount of cash in just a fraction of the time it would take to count manually. With that, the cost of salaries that you pay will be reduced significantly. The problem of fake money is increasingly becoming prevalent in businesses dealing with cash. Today, criminals are making high quality fake notes which are difficult to detect manually. Such currencies require high quality technology to detect. That is another reason for a business to automate cash management with the money counter machine.